Gifts of Love Farm located in Simsbury delivers relevant, hands-on, farm-based teaching strategies to enhance student learning, while promoting the preservation of precious natural resources, focusing on the importance of building sustainable food systems, and protecting local farms. Experienced teachers guide the learning process mixing academic rigor with fun farm-based activities in a friendly and caring environment. See what goes on in a typical day.. The camp is not only fun, but incorporates the importance of community service while educating kids about sound nutritional choices, a healthy lifestyle and the issue of hunger in our community. Weeks are filling up quickly. 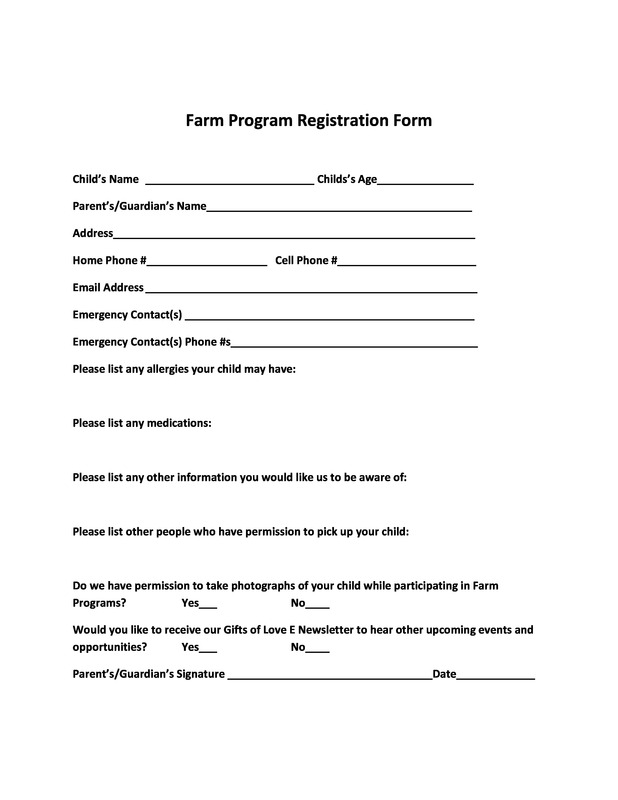 If you see that a week is full, please call the office 860-676-2323 and ask to speak with Paul Sicilian, Farm Coordinator to put your name on a wait list. Paul is also the person handling the scholarships this year. 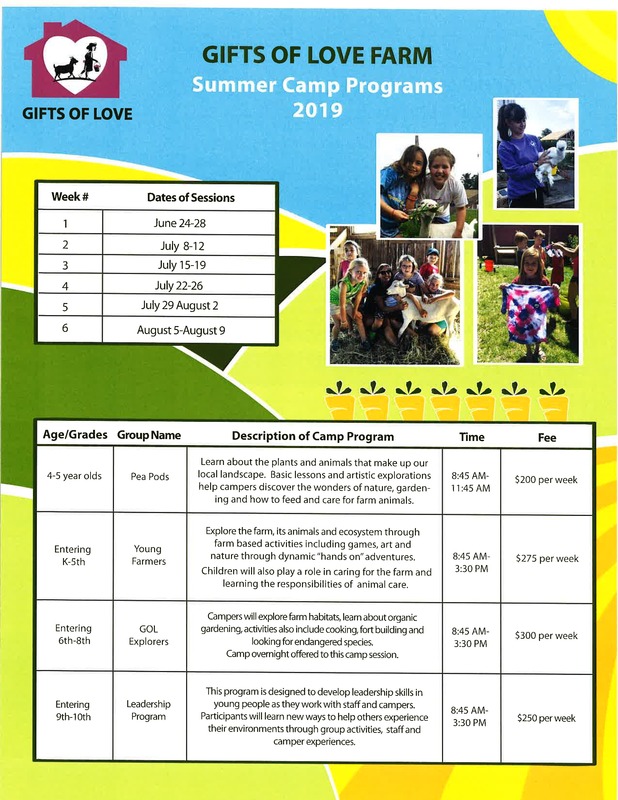 For program descriptions click on link for Camp Flyer camp flyer front-2019(2).pdf & camp flyer back pdf. 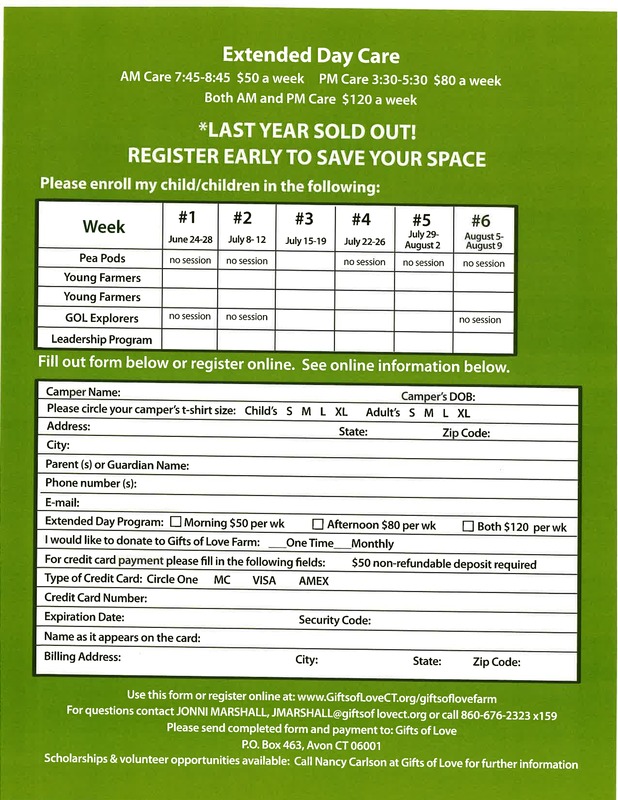 Please print and complete the back of the camp flyer. Each session has a different theme. Students may attend one or multiple sessions. PAYMENT - we apologize our online payment processing is temporarily out of order - please contact Jennifer Reynolds at 860-676-2323 with payment information. Please note: cell phones and electronic devices are not necessary at camp and should be left at home, should campers bring them we are not responsible for them.